VeinGogh™: The precision and energy to finish the job right. 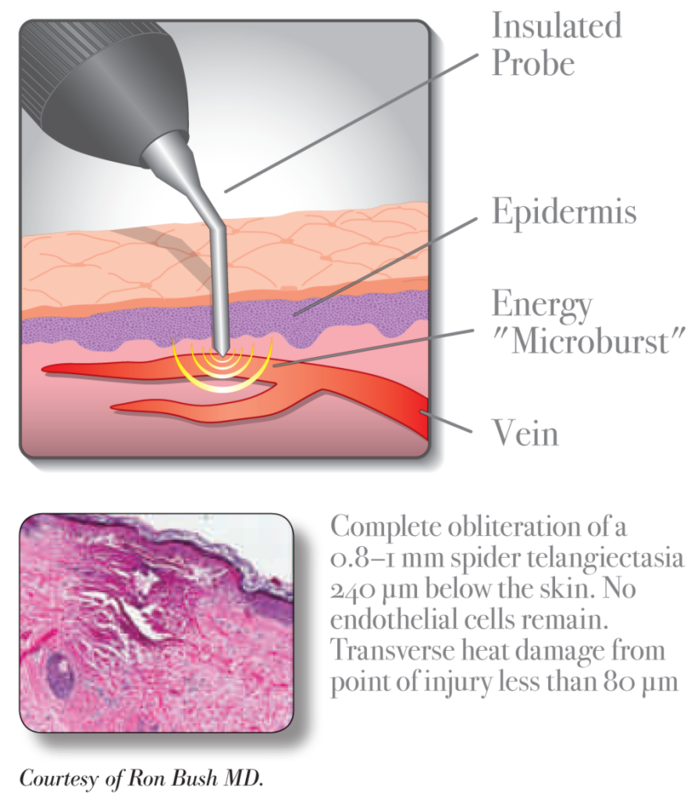 VeinGogh™’s exceptional energy control system makes it the only needle-RF system to feature Ohmic Thermolysis, the unique ability to selectively destroy superficial blood vessels up to 1 mm in diameter without injuring surrounding tissue. Less discomfort and no downtime for any skin type.